Pompeii, aka The city of the Dead is one of the most visited archaeological sites, but do you know that it remained lost for centuries after it was buried by the great eruption of Mount Vesuvius in 79 AD? The city is perhaps the most well known places today, but there are many unknown facts about Pompeii that are still unknown and will startle you. The glorious city of ancient Rome, Pompeii fell to ruins when it got destroyed by one of the deadliest eruptions of volcanic Mount Vesuvius. It remained buried under molten rock and thick ash for centuries before being discovered. Apart from the facts that tell you about the city, Mount Vesuvius and the tragedy, do you also know how many people died that fateful day of eruption, or why the tragedy was so enormous? If you want to know the unanswered questions, do take a look and read about these surprising Pompeii volcano facts. Pompeii, the glorious city of ancient Rome is also known as the City of the Dead as all its inhabitants including men, women, kids and animals were all killed when the volcanic eruption from Mount Vesuvius occurred and were plastered in their original postures. Sir Walter Scott, the novelist first used this word to describe Pompeii when he arrived at the site and carried rounds of the excavations. 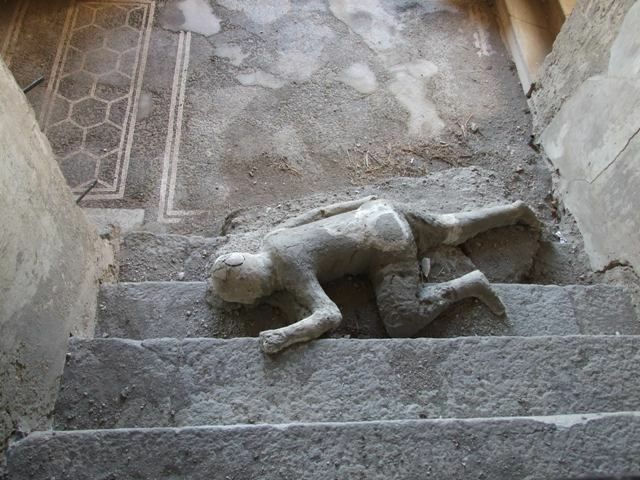 Pompeii citizens had no clue about Mount Vesuvius being volcanic and were taken by total surprise when it erupted, killing several thousands and burying them in hot ash. The city was inhabited by 20,000 humans comprising of farmers, merchants and manufacturers. An additional 5000 people lived in Herculaneum. These two cities were popular tourist destinations. 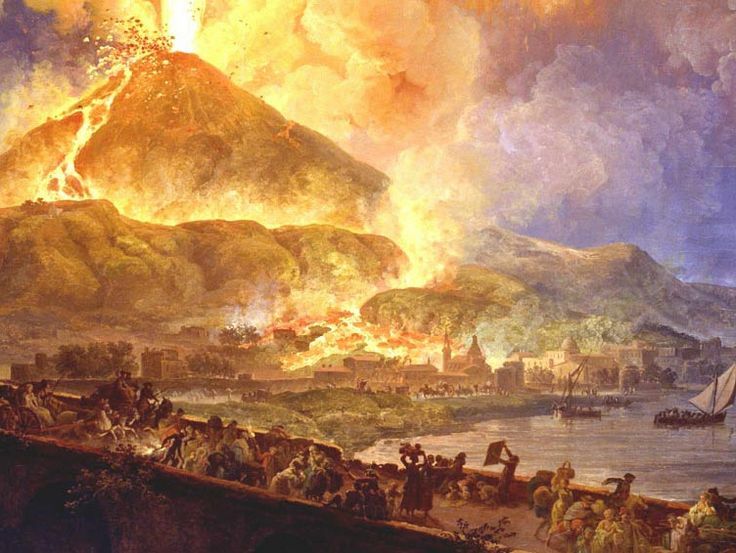 Surprisingly Vesuvius hadn’t erupted for 1800 years and this made the people clueless as to what was about to happen and change the very course of their lives. There is a very close proximity between Mount Vesuvius and the city of Pompeii that is resided by more than 3 million people. The volcanic mountain poses a great threat to Pompeiians and is considered to be the most dangerous volcano in the world. Not known to many, Vesuvius is stratovolcano which means that the rocks that erupt when the volcano becomes active are mostly andesite. Andesite rocks when erupted, create huge explosions that pose a great threat to everyone. Vesuvius’s last eruption was in 1944. However, the dormant volcano can erupt anytime as its a ticking time bomb. Pompeii volcano eruption was Plinian which means that it erupted without any lava that is mostly seen associated with other volcanoes. When it erupted, it was mostly volcanic ash and super-heated gas that extended high up into the sky and everywhere. When the rocks got pulverized, they poured down the slopes fast and engulfed everything that came in front. It was Pliny the Younger who reported the happenings of that fateful day and gave an account witnessed by his own eyes. 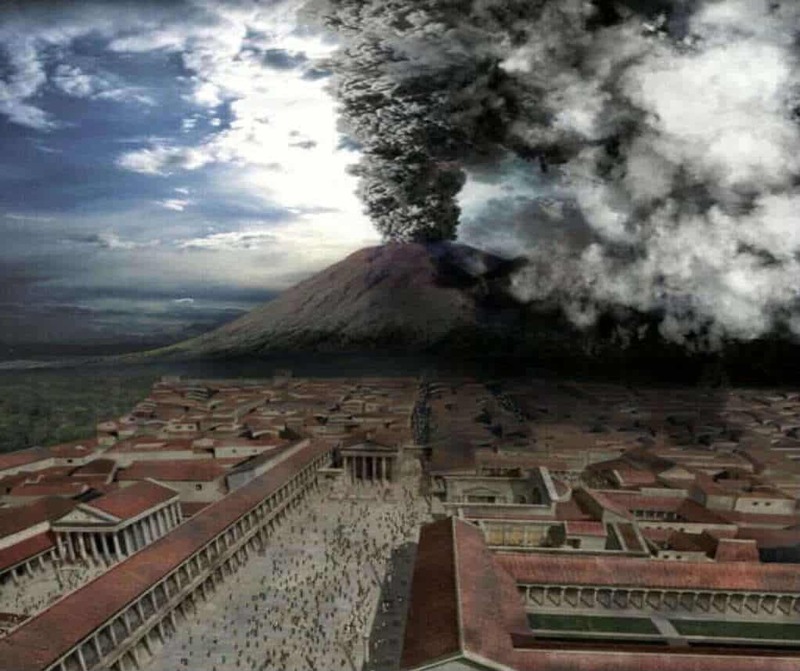 Therefore, most volcano specialists have given the term ‘Plinian’ to such volcanoes that erupt in the same way as the one that happened in 79 AD. With 100 eruptions till date, Mount Vesuvius is 17000 years old and is the most dangerous volcano in this whole world. Situated in mainland Europe, the volcanic mountain is the only active volcano in the European mainland and caused a whole city called Pompeii to vanish. 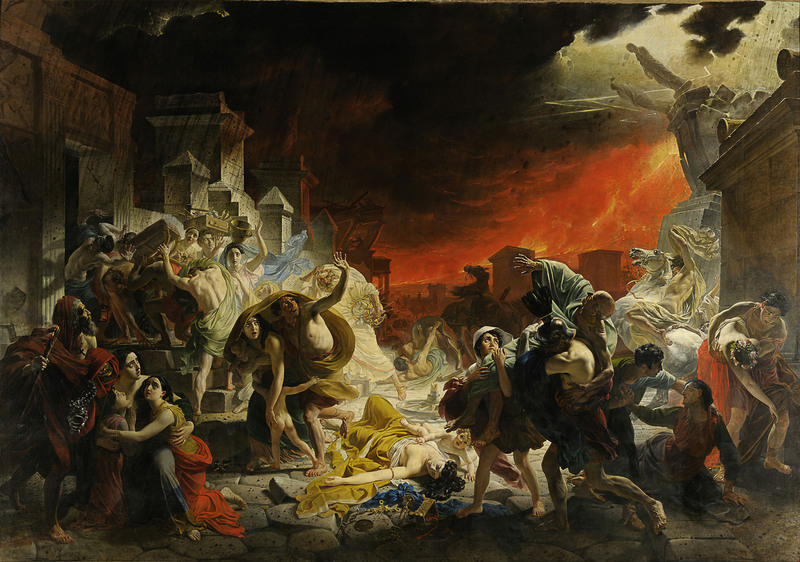 The eruption that hit Pompeii in 79 AD was responsible for death of more than 2000 people, some say the body count went up to 25000, and released thermal energy that was 100 times more powerful than the nuclear bombing of Hiroshima. There are many facts about Pompeii that are still debatable as we do not have any proofs of their happening. One such fact is related to the number of people that perished on that fateful day of August 24, 79 AD. Its just an estimate that the volcanic eruption killed 2000 people out of a population of 15,000. Some reports suggest that the number of people killed reached up to 1500. However, these figures are only estimates and are not reliable. Do you know that Pompeii is spread over 440,000 square meters? Many know about the much known Pompeii facts but seldom one comes across lists that tell you something extra like the one which we just disclosed to you! The once glorious Roman city lies frozen in time and was declared a World Heritage Site by the UNESCO in 1997. The city is visited by 2.5 million people each year to witness the ancient Roman ruins housed here and also at Herculaneum. Pompeii was destroyed by an eruption having a cataclysmic force, but there is no sufficient proof to tell readers as to how strong that force really was. 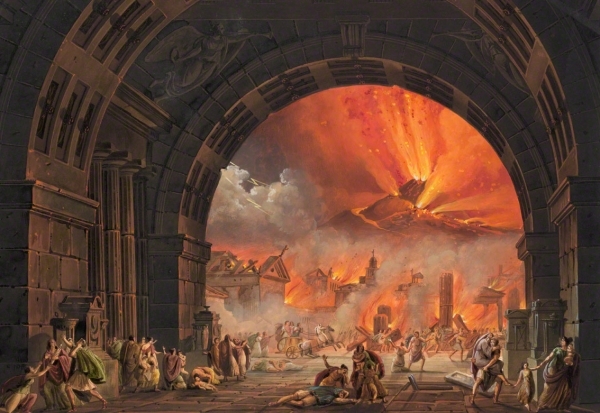 Time and again studies have been done, with some claiming that the strength of the Vesuvius eruption was at least 100 times more than that of the atomic bomb dropped at Hiroshima. As per other studies, the strength of the eruption was 500 times more than that of the Hiroshima bomb. During the construction of an aqueduct in 1599 on the orders of Count Muzzio Tuttavilla at Pompeii, the workers came across ancient walls decorated with frescoes and inscriptions. The count then called an architect named Domenico Fontana who unearthed more frescoes, all bearing a sexual theme. However, looking at sexually inspired paintings and stuff was considered immoral during those times. Therefore, this prompted Fontana to rebury the found frescoes in the dusty earth.